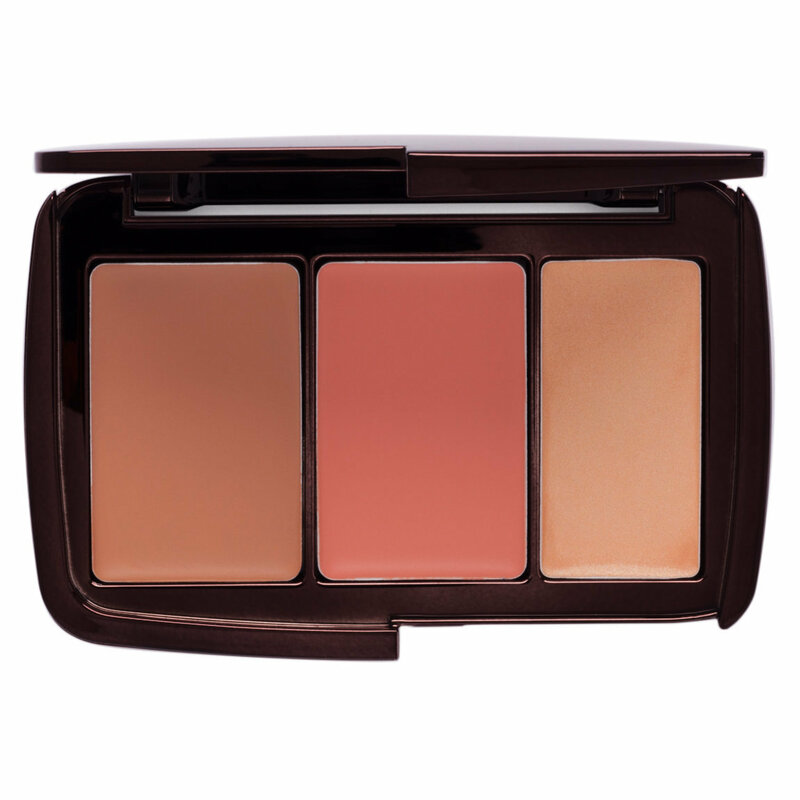 Give your face a luminous wash of color with a trio of cream-to-satin bronzer, blush, and highlighter from Hourglass. Designed to impart a soft, natural finish without streaks or blotchiness, this multitasking face palette gives you everything you need to add beautifully subtle definition, color, and radiance to your look in one sleek compact. Using fingers or a brush, gently blend the bronzer into the hollows of the temples, cheeks, and jawline in a "3" shape. Apply the blush to the apples of the cheeks, blending up towards the temples. Tap the highlighter onto the tops of the cheekbones, brow bone, bridge of the nose, and cupid's bow. Blend like a dream and the blush is every girl, boy and makeup artist fantasy !!! The shimer can used only by beauty blender in my opinion not by a brush . And contour is such universal color that suits almost everyone. Very recommend!!!! Finally a product that gives me that healthy Glow i always craved for. Feels like nothing on my skin! Natural beauty and with a sophisticated vibe. That's what I think when I use this palette. Other adjectives that come to mind are clean, healthy, and very much the girl next door. I'm one who feels that makeup should enhance your natural beauty and the Hourglass Sunset palette provides just that. This is my daily go to so please don't ever do away with this item, it's simply gorgeous! This is unbelievable! Not only did it still look gorgeous after 13 hours of wear without a primer, setting powder or spray, it did this while I was at an open air concert jumping and sweating in 35 degree (95 in Fahrenheit) sunny weather! Yes, the blush was slightly faded but the bronzer and highlight still looked the same as they did right after application. It is beautifully pigmented, blendable doesn't emphasize pores or texture at all and obviously long lasting. Highly, highly recommend!! I love everything about this trio ... very natural looking which I prefer. I use this Monday - Friday ... try to give my face a break from makeup on weekends. I never thought that cream products could look so natural!This has transformed me to cream makeup junkie overnight. Though my bank account is crying, I can't recommend this product enough if you are into no makeup makeup kind a look. They all blend seamlessly without accentuating any texture or pores.100% satisfied with this little purchase. Easy to apply and is the perfect trio for summer! Highly recommended! Gives an amazing glow! 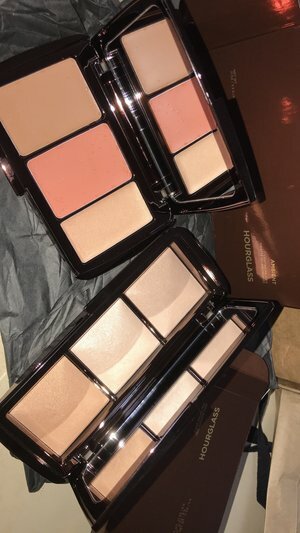 I love this trio it is honestly the best bronzer contour highlight I have ever tried. I have medium skin with yellow undertones and I use it everyday. My routine is 5 min or less because of this little gem. I have spent hundreds of dollars on bronzers and highlights including Tom Ford and Benefit Hoola but repeatedly back to this one. I only wish it wasn’t out of stock so often. Please never stop carrying it!! !